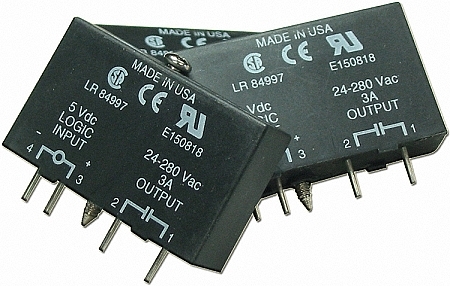 The 1781-OL5S is a AC Output Module. One in a series of solid-state relays commonly used in industrial applications, it is directly plug-and-play compatible with our own TxSS 1-Wire I/O products. • Do Not install or remove modules in live (electrically hot) circuits. High voltage may be present. • Output connections are non-polarized. • All units are zero-cross outputs. These modules turn on irrespective of zero crossing. • All units, except OM5SC are normally open. These modules are normally closed.